Shortly after the turn of the new millennium, St. Louis' long neglected midsection went through a dramatic transformation into a hotbed of entertainment and culture. With St. Louis University Medical Campus as an anchor, Midtown offers a myriad of cultural distractions: The Fabulous Fox Theatre, The St. Louis Symphony at Powell Hall, The Sheldon, The Contemporary Art Museum, the Moolah Theatre & Bowling Lanes and much more. 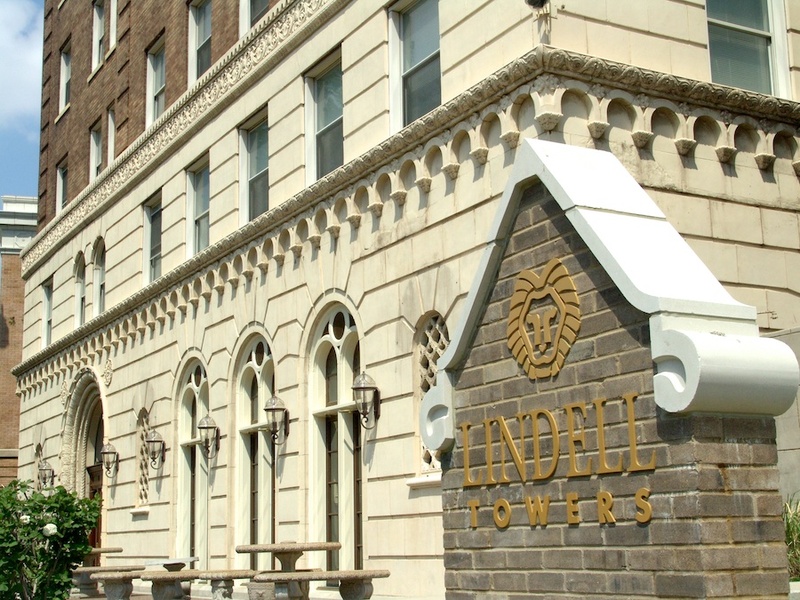 Lindell Towers West served as a hotel and then an apartment building until its purchase from Sterling Properties in 2001. 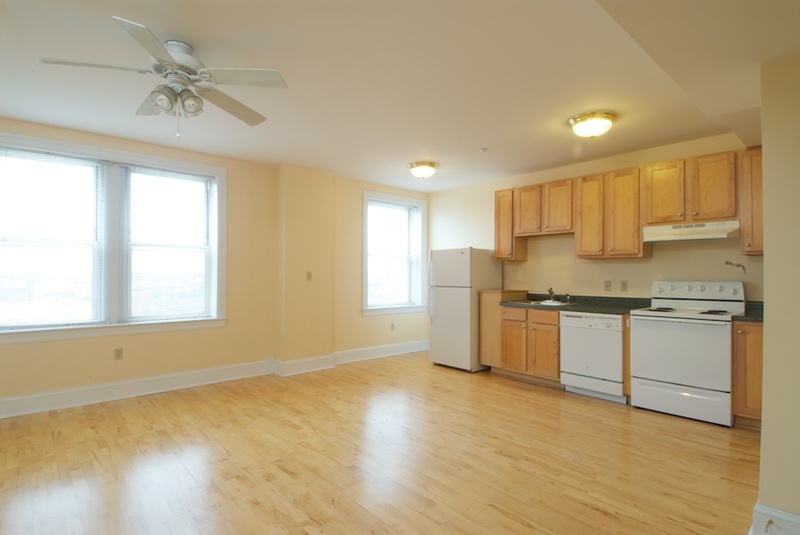 While the original floorplans were maintained, all core systems were completely revamped, including the addition of central heating and air conditioning for every unit as well as high speed internet access. This project was completed in an unheard of 45 working days (90 calendar days). 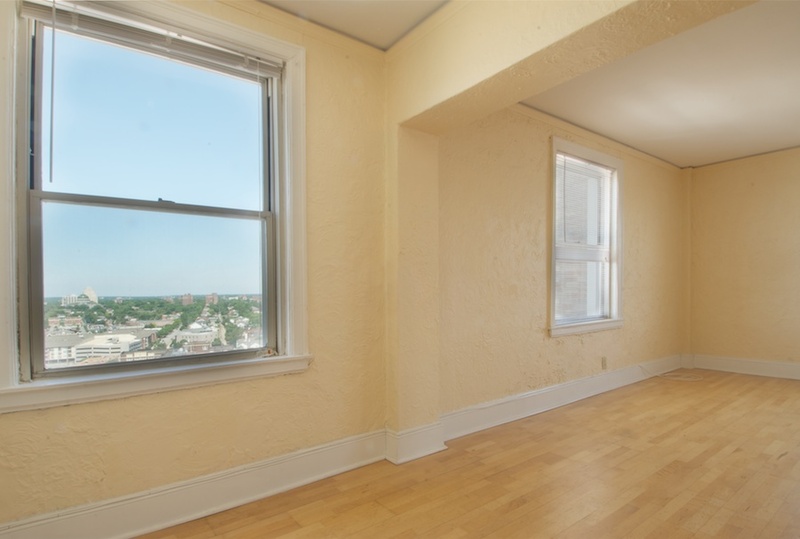 The property features 91 spacious apartments, an opulent lobby, fitness center, laundry facilities, and underground parking. Formerly the Mark Twain Apartments, this Flemish inspired high-rise was designed by Pleitsche & Prince, Inc. for the Lewis-Marr Investment Company in 1927. Off-white terracotta frames a dramatic two-story arched entrance at street level while three columns of dark tan brick soar overhead; all of this is capped by a nostalgic Flemish rooftop which can be seen from nearly anywhere in midtown. Unlike other projects where we repurposed a space into living space, this project meant restoring and improving existing living spaces. 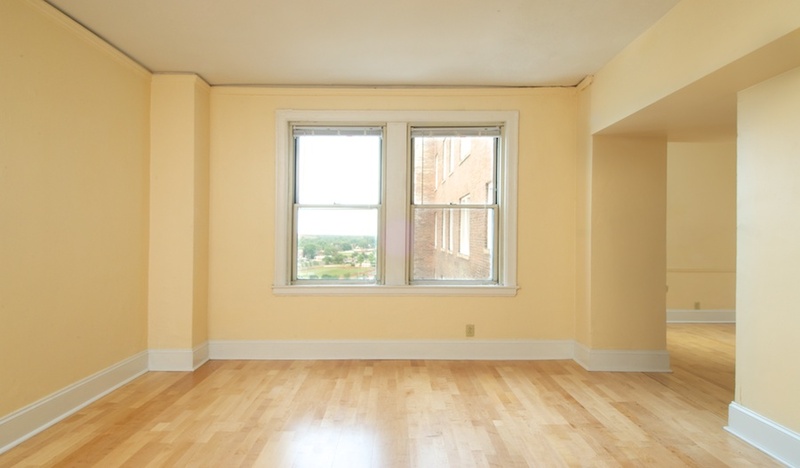 Floorplans were expanded and modern amenities were added including central heating and air conditioning, high-speed internet access, laundry facilities and underground parking.